Tip: You can figure roughly one and a half large potatoes per person, but this doesn’t take into account how addictive French fries are! Might want to add an extra potato or two depending on appetites. You can figure roughly one and a half large potatoes per person, but this doesn't take into account how addictive French fries are! Might want to add an extra potato or two depending on appetites. Note that three to four large potatoes will take two baking sheets. Wash/scrub potatoes, pat dry, and cut into long matchsticks (about ½-inch-thick). Line baking sheets with aluminum foil and coat generously with coconut oil cooking spray. 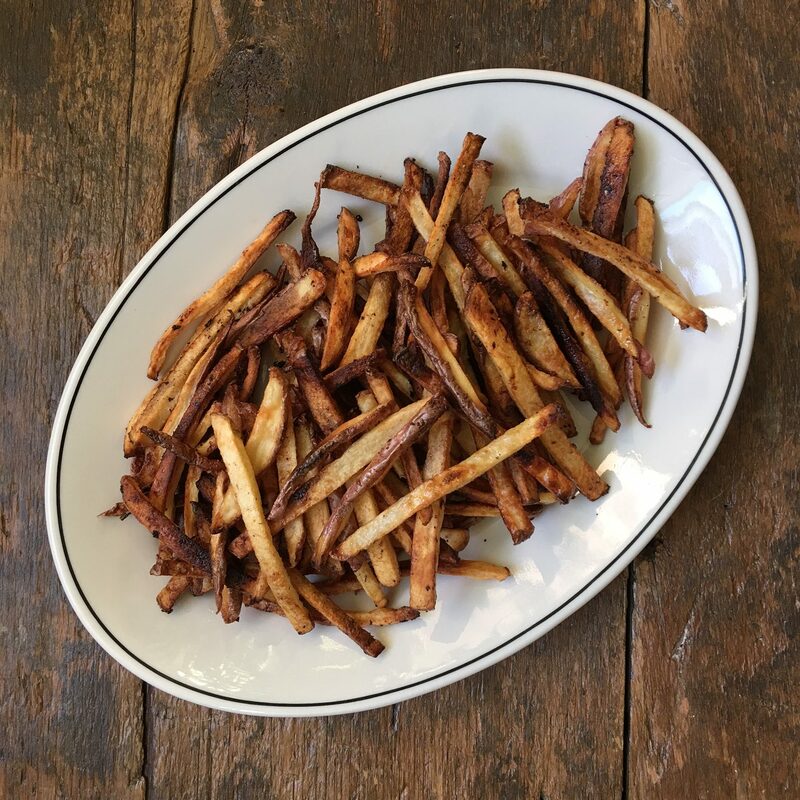 Arrange fries in a single layer so that they are barely touching each other. Bake for 25-35 minutes (depending on how dark/crunchy you like them), flipping them after the first 15 minutes or so.